NECKLACE - MONET. 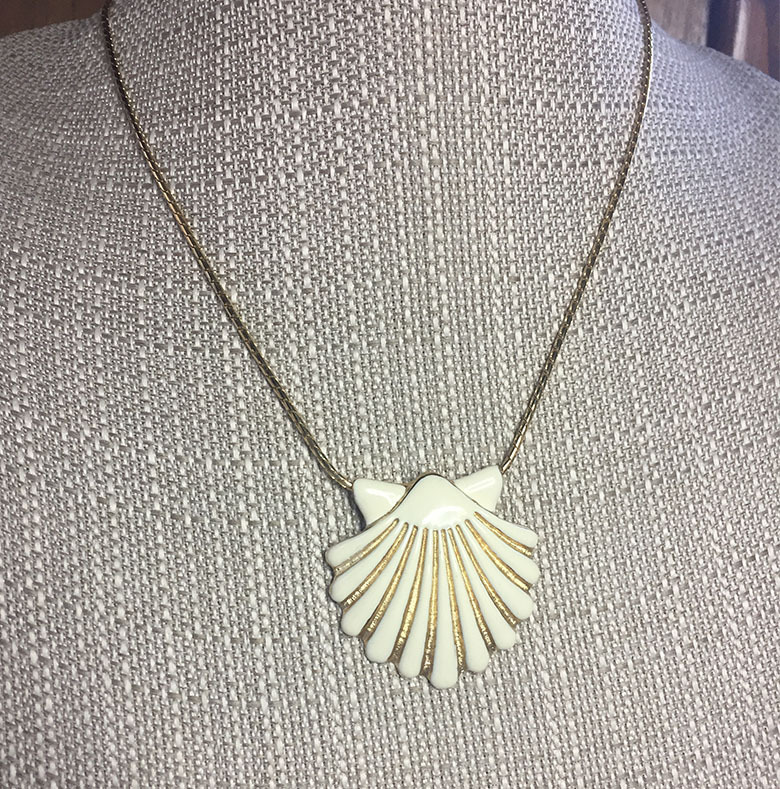 LARGE GOLDTONE AND CREAM ENAMEL SHELL PENDANT THAT SLIDES ON THE SHINY GOLDTONE CHAIN. 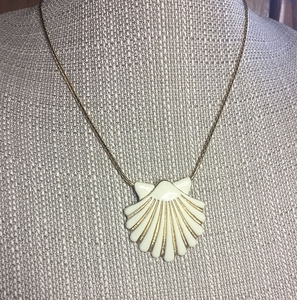 SHELL PENDANT IS ABOUT 1 3/4" LONG AND 1 3/4" ACROSS. CHAIN IS LONG - 28" LONG. VERY GOOD CONDITION.